THE FINAL CHAPTERS: IS GOD GOOD? 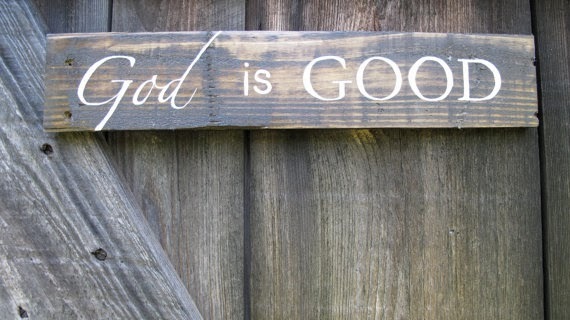 Good is God--have been a major stumbling block for me. It has not been an easy step to reconcile the Goodness of God with the plight of many in this fallen world. In Sunday's sermon, I was reminded that I am not the one to set the meter for what is good and what is not. My qualifications for goodness are not those of God. Once again, I have set myself upon the throne by dictating the definition of goodness and regarding His actions with disparaging leeriness. -perhaps that would have made it easier to accept His goodness while looking at my life and the lives of many others in similar places--but only rarely do I see "My life is a mess, but God is good" boldly proclaimed. 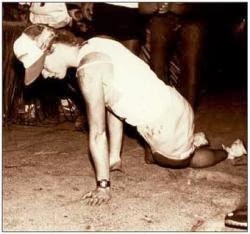 Thus --I stumble. I do not question any of the other of God's attributes. Each of these attributes he consistently reflects---and He is these attributes---they are Him--He NEVER changes and does not waver from Whom He is. If I accept and believe God is what He claims and has shown us in the Scripture---then I must accept He is good. 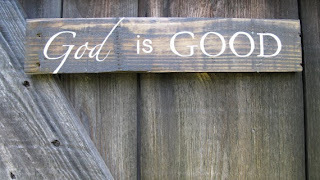 In His goodness---He understands my struggle---and loves me in the midst of my doubt---for after all--He IS GOOD! "Give thanks to the LORD, for he is good. His love endures forever."